標語 : "The Better Place to Visit"
Fedorova, Svetlana G., trans. & ed. by Richard A. Pierce and Alton S. Donnelly (1973). The Russian Population in Alaska and California: Late 18th Century - 1867. Limestone Press, Kingston, Ontario. ISBN 0-919642-53-5. Nordlander, David J. (1994). For God & Tsar: A Brief History of Russian America 1741 - 1867. Alaska Natural History Association, Anchorage, AK. ISBN 0-930931-15-7. Wilber, Glenn (1993). 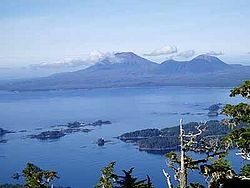 The Sitka Story: Crown Jewel of Baranof Island. "Land of Destiny"—Alaska Publications, Sitka, AK.